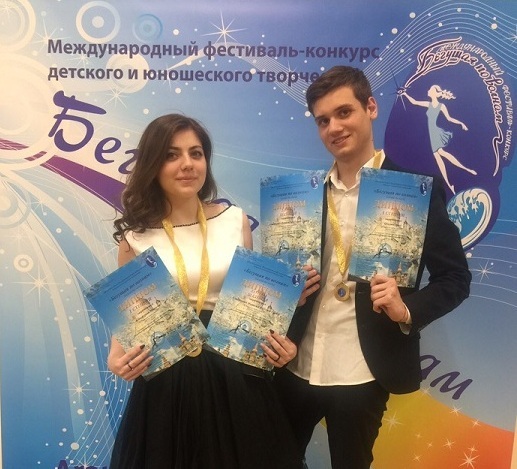 On March 24, 2019, Sergey Shilov (first-year student of the Institute of Economics, Management and Finance) and Natalia Astafurova (first-year student of the Institute of Business Technologies) took part in the International Festival-Competition for Children and Youth Creativity “The Waverunner". According to the results of the festival, Sergey and Natalia received the third-degree laureate titles for performing the song “Absolutely Everything” as a duet. Also, they were awarded the first degree diplomas for the solo performances.